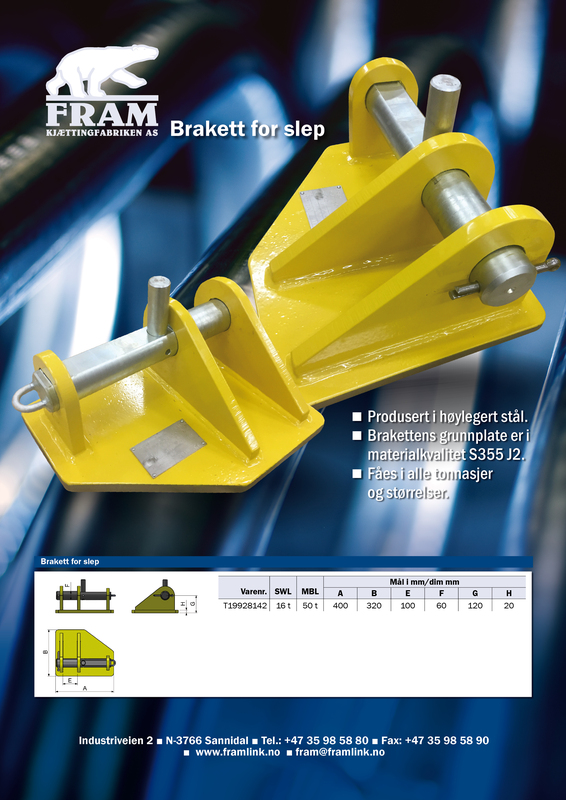 FRAM Kjættingfabriken has designed a towing bracket engineered and produced from high grade alloy steel and with same functionality as a Smit Bracket. This bracket is used as a part of an emergency towing system(ETS) or as stand alone part for securing towing connections. To be delivered in all sizes.